Happy Halloween!! Hope you're all having a fun day, I've had an entire day trying to find a last minute outfit but I've had zero luck. Which will teach me to leave it until the last second. I'm ending up just wearing devil horns, even though I actually tried to make an effort this year, which is frustrating. 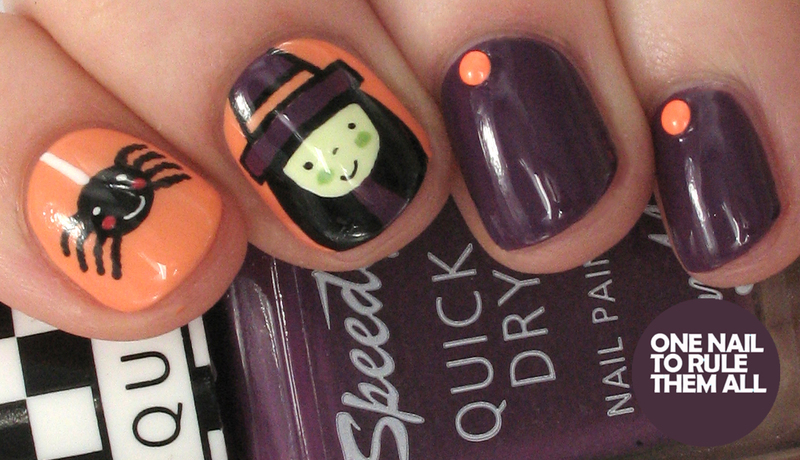 Anyway, at least I can be a bit more Halloween-y with my nails. 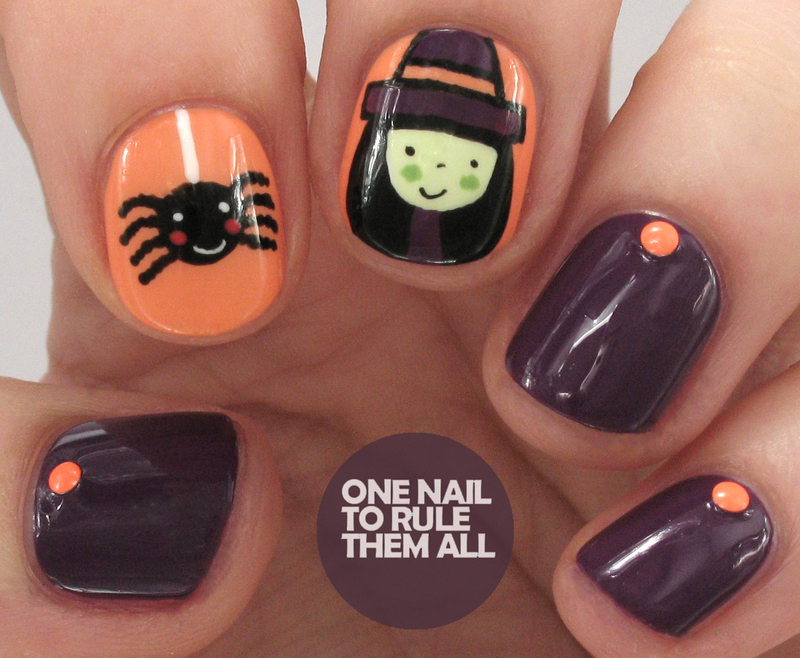 This year I went with these cute witch nails inspired by these nails by Laura Merino, which I've had saved in my 'inspiration' folder since last year. I really love how these turned out, I got a tonne of compliments on them, I think the colours made them stand out as Halloween nails. I used a polish from the new Barry M Quick Dry collection* as my base, which is called Slip Stream*, a gorgeous Autumnal colour but also great for Halloween! Then I used OPI - Is Mai Tai Crooked? for my accent nails (which stained my nails even with a basecoat unfortunately). Love them! That plum color is perfect for Halloween, more fun than the traditional orange and black!